The below goods will be available to purchase at the World Contest Official Booth on 1F of the contest venue. 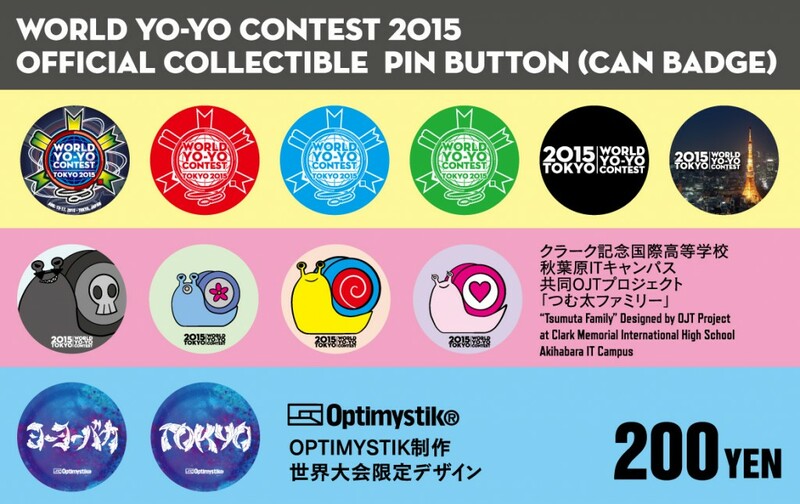 *The pin buttons will be in a gacha gacha (capsule vending) machine at the Official Booth. A blue t-shirt printed to promote WYYC2015, worn by players around the world. A t-shirt designed by Clark High’s students. 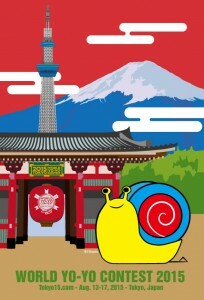 The character is “Tsumuta,” a snail carrying a yo-yo on its back. A chic black t-shirt printed with the WYYC2015 logo. Collaboration with everyone’s favorite MC Cheng, of WYYC and AP fame. His immortal phrase “MAKE SOME NOISE!” is paired with the WYYC2015 logo. Collaboration with Japanese apparel brand Optimystik. YO-YO BAKA of the world meet in TOKYO in this freaky design. 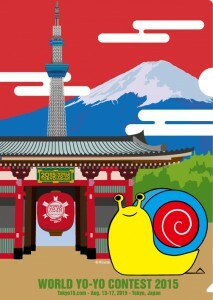 We made postcards of the World Contest poster and Tsumuta design. A clear folder depicting Tsumuta’s adventures in Tokyo. We will have a gacha gacha machine filled with our assortment of collectable pin buttons. For 200 yen you can turn the crank and get one random button. The below are limited goods that cannot be purchased. The limited t-shirt made for supporters who contributed 3 units or more. 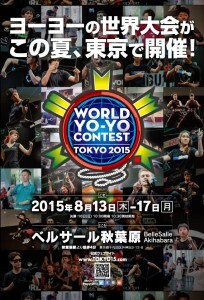 The World Yo-Yo Contest 2015 Official Staff t-shirt. Some of the official goods were made as part of Clark Memorial International High School’s on the job training effort.